You are at:Home»Inspiration»More initiatives coming up soon: Zero-Plastic Week (from 9-15 June) & Plastic-Free July. Have a go! Plastic-Free Tuesday is not the only initiative out there trying to raise awareness about the importance of cutting down on plastics in daily life. In fact, there are two very inspiring intiatives coming up very soon which we love to support here. They are: Zero Plastic Week (9-15 June ) and Plastic-Free July. Yeps, going beyond #plasticfreetuesdays #onedayperweek. Are you up for the challenge? The idea and aim of Zero Plastic Week, which starts tomorrow, is to raise ‘awareness on the plastic soup which is polluting the oceans and its marine life’, as well as directly diminishing the amount of plastic waste. They ask everyone to apply a week-long simple rule of refusing any new plastics between 9 and 15 June 2014. Thus, all participants will try not to eat any food wrapped in plastic, get no coffee-cups to go, forego plastic cups at coffee machines at work, and certainly do not accept any new plastic bags! 🙂 You can still use the plastics you already have at home – e.g. your toothbrush or shampoo – which should make it a bit easier; yet, it will still be a challenge! Many people already signed up. 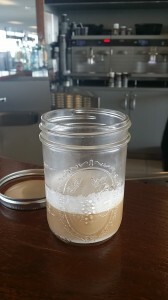 Reducing the use of plastic to-go cups. Bringing my own mason jar nowadays. So much nicer, and the lid is handy too! 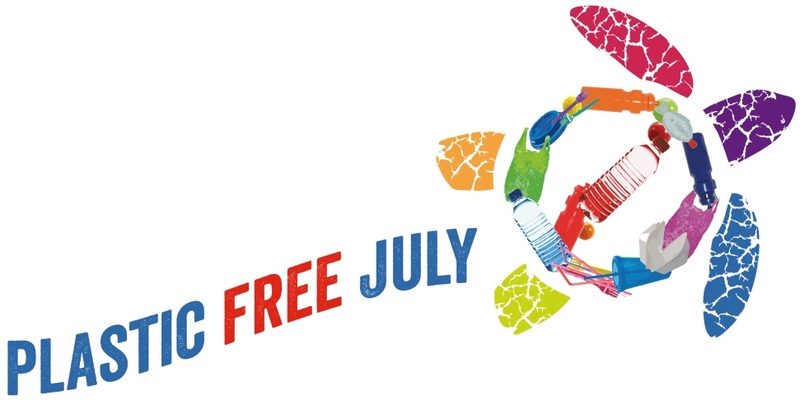 Taking it a step further, the challenge that Plastic-Free July poses to participants is to “attempt not to use any single-use plastic during the month of July“. The message of Plastic-Free July is a bit more specific, pointing out that much plastic waste is actually ‘single-use plastic’. ‘To-go’ plastic cups (with or without extra plastic lids), plastic straws, plastic bags, plastic bottles, plastic freebies, or plastic packaging: many items we only have in our hands one single time, when we unpack or consume food, or carry a plastic bag for 5 minutes for something that would have easily fitted in a pocket, in our hands or in the bag you already had on you. Especially when you know that plastic waste does not degrade, and much plastic waste is never recycled: all of this ‘single use plastic’ is very likely still around somewhere! 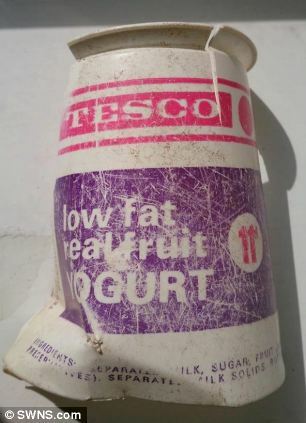 In fact, recently I came across this great (bad) example of single use plastic waste, which really struck a cord: the find of this 40yr old Tesco yoghurt pot on a British beach. Really, 40 yr old plastic waste! And it looks like it could have easily lasted another 40 yrs.. What a legacy.. Is that what we really want? If you’re interested in taking on the challenge, you can sign up with the Plastic-Free July website. They will send you “recipes, ideas & everything you need to take part”. Wish you all the best, and hope you will consider participating in one of these great and inspiring initiatives. Of course, Plastic Free Tuesdays can be a great alternative as well, in stead of, or as complementary to, either of these initiatives. I’m sure that you will find that as you explore plastic-free options further in the context of any initiative, transitioning to less plastic will become easier and easier as you go! In any case, let us know how you are doing? And whether we can help! Thank you for spreading awareness about all of these plastic free events! I cannot believe that yogurt cup lasted 40 years without worse damage. I think that is truly a small testament to the pollution problem we are facing.